`This quote came from a friend of mine. She had overheard one of my city’s billionaires saying this to his son. He was, of course talking about the cost of borrowing money. This gentleman was undoubtedly talking about thousands or even hundreds of thousands of dollars. While you probably wouldn’t borrow this much money unless you were taking out a new mortgage there is a way for you to some of that money they’re practically giving away. The answer is to refinance. To refinance your home, you would need to have equity and you will need to have enough to make doing a refi a winning strategy by getting a lower interest rate and cashing out your equity. Let’s say you’ve been in your house for 14 years and your mortgage interest rate is 7%. You’ve made all your payments on time without paying much attention to how much equity you’ve accumulated. If you don’t see this on your monthly statement you’ll need to call your mortgage holder. But the odds are that you have enough equity to do a refi, cut your payments by anywhere from $200-$500 a month and walk away with a sizeable amount of cash. If you’re interested in refinancing your home and Fannie Mae or Freddie Mac guaranteed your loan you can thank Pres. Obama for his HARP (Home Affordable Refinance Program). This program is designed specifically to get you a more affordable mortgage. To qualify you must have a current loan-to-value ratio greater than 80%, you must be current on your mortgage and you must have had a good payment history in the last year. Plus, with HARP you can roll up your closing costs as your mortgage balance can be increased to cover them … in addition to any other money due at closing such as accrued daily interest, escrow reserves and a small amount of cash. However, your loan size cannot exceed the total conforming loan limits, which is $417,000 unless you have a very expensive home. All that’s required to do this is some simple math. Just divide your mortgage’s balance into its value. For example, if your home was valued at $250,000 and your remaining balance is $185,000 your loan-to-value ratio would be 74% or too low to qualify for HARP. However, if you owed $200,000 on your mortgage then your loan-to-value ratio would be that magic 80%. As you can see this program is designed for people that don’t have a lot of equity in their houses so might not be able to refinance with a conventional loan. 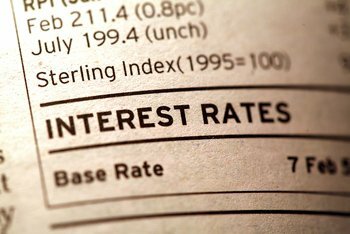 What will the interest rate be on your new loan? It’s impossible for us to say exactly what your interest will be on that new loan because there are too many variables involved. However right now it’s possible to refi with a 30-year fixed mortgage at 3.63% and an APR of 3.75%. Compare that with the interest rate you’re currently paying and you’ll see how much you might save. If you look only at today’s’ interest rates versus your current interest rate you will be missing something – those annoying closing costs. Again, we can’t tell you precisely what those costs will be but homebuyers typically pay between about 2% and 5% of the cost of refinancing their loans. As an example of this, if you are refinancing $150,000, your closing costs will probably be somewhere between $3000 and $7500. However, according to one recent survey, buyers generally pay roughly $3700 in closing costs. This is significant money and you need to factor it in before you decide to do that refi. Let’s say your closing costs will be $4000 and you expect to save $200 a month. At that rate, it will take you 20 months before you break even and start having that extra money in your pocket. If your mortgage wasn’t guaranteed by Fannie Mae or Freddie Mac or the VA, don’t despair. Quicken Loans is currently offering refi loans as a 5/1 ARM at 2.97% APR. If you could put 20% down on a 30-year fixed refi, have a credit score of 740+ and are looking to borrow $230,000 you might qualify for a loan at 3.577% or 3.669%. Interest rates this low won’t last forever. In fact, the Federal Reserve Bank is making noises that it will increase the interest rate at the end of this year or the first quarter of next. The Fed’s goal is to keep inflation under control. The way it does this is by manipulating the Target Federal Funds Rate to control our money supply. When inflation is low as it has been for the past several years the Fed keeps that rate low so there is more money available for banks to lend. However, as soon as the Fed sees a serious uptick in inflation it will raise the Target Federal Funds Rate, our money supply will shrink and there will be less money to lend. When this happens the interest rates for refi will go up accordingly. Whether you have a mortgage that was guaranteed by Freddie Mac or Fannie Mae or it’s a conventional mortgage, don’t delay. Contact your mortgage holder or mortgage servicer today to see what a refi could do for you. You might find you could save enough to afford that dream vacation you’ve always wanted to take, to buy a new car or to help your kids pay for their educations. Even just $200 a month is $2400 a year, which could go a long way to paying for that dream vacation. In other words, as our local billionaire advised his son, you should go get some money while they’re still practically giving it away.